Built in 1903, the church on the ancient farm Ingjaldshóll is the oldest concrete church in Iceland. 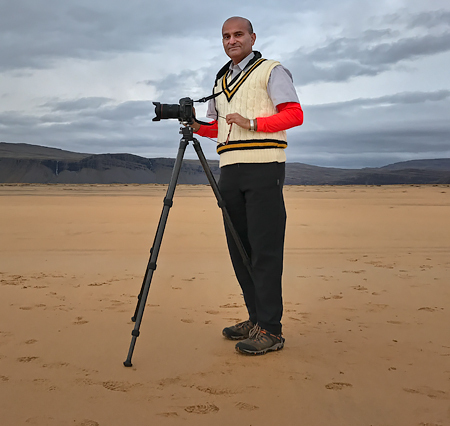 Christopher Columbus is said to have spent time in this area absorbing lessons from the experienced Viking seafarers before embarking on his voyage to the Americas. 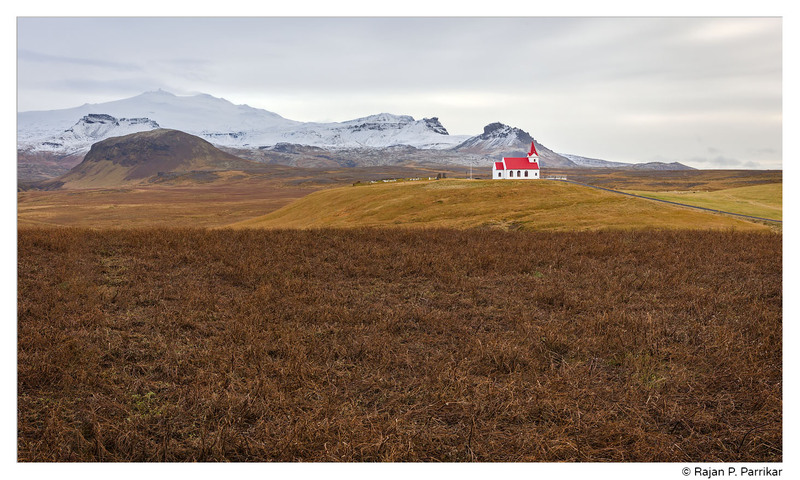 The farm lies in the shadow of the Snæfellsjökull glacier near the village of Hellissandur. 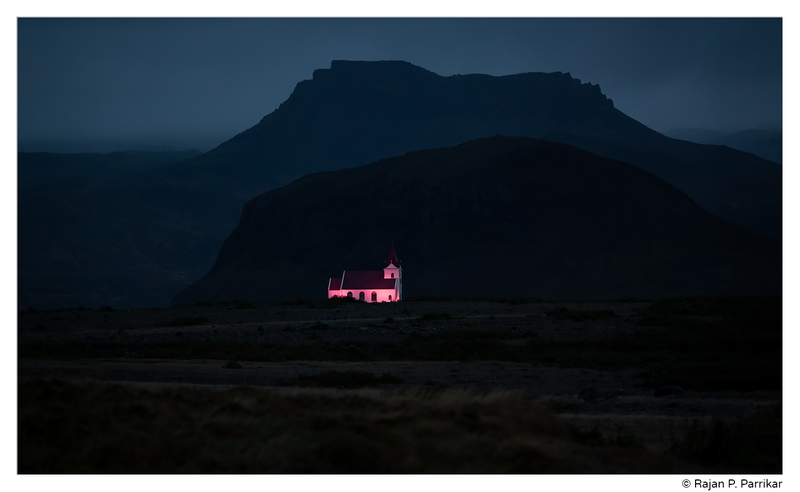 The second image below is from October 2010, a month when churches in Iceland are illuminated in pink to mark the Breast Cancer Awareness month.